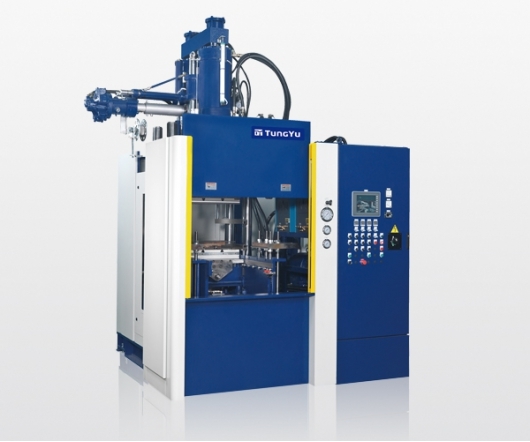 ●Simplicity in material preparation, flexibility in the production of complicated product. ●Compound with vulcanizing process and temperature controlling pre-heating, decrease curing time and increase productivity. ●Material fully filled with mold via runner path, suitable for complex product forming. 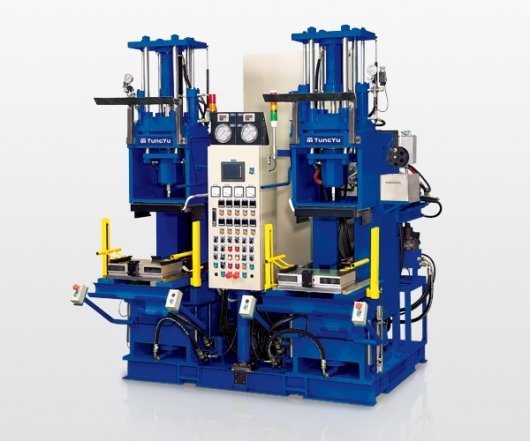 ●Combined with molding design and constant injection control, decrease rubber flash and save labor cost. 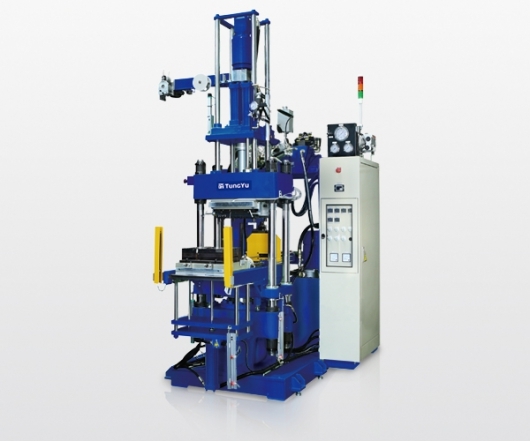 ●Vertical mold clamping device is suitable for product with insert. ●Main frame with J type design to save the footprint area. ●Full operation on HMI with rotation arm to comply with ergonomic design. ●Optimization of temperature regulator design with orderly tubes to save space and improve operation noise. 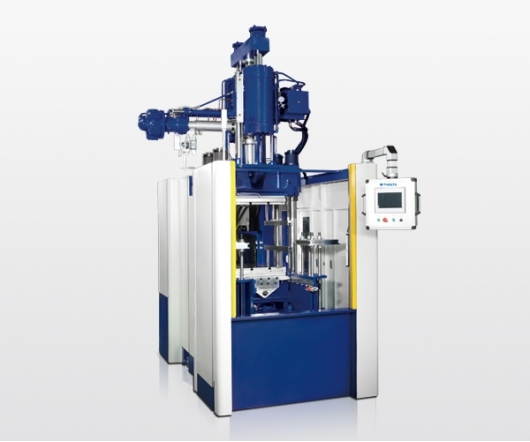 ●Equipped with guide sleeve on screw inlet to improve the rubber feeding capacity. ●Main frame with J type design to save space. 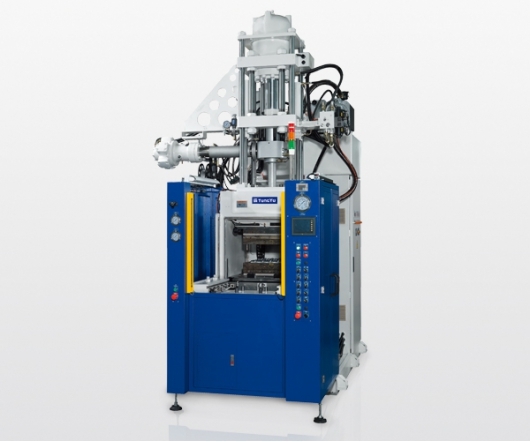 ●Front kit with two layers design could operate two molds on the same press to increase productivity. ●Additional external heating platen for mold pre-heating. ●Start by two hands, ensure the safety. ●Excellent prevent from heat loss for energy efficiency. ●Vacuum door design for better compound flow and non-bubbling which enhance the quality of products. 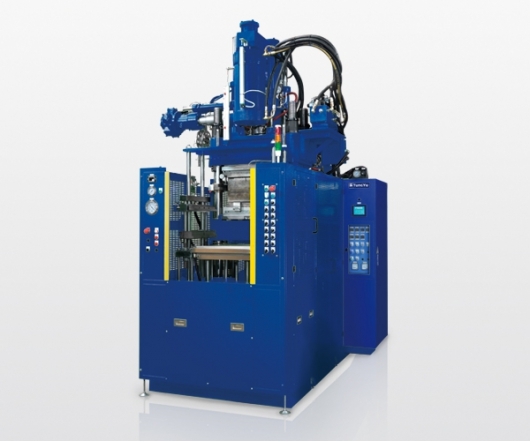 ●Clamping unit can be individually utilized as a vacuum compression molding machine for multiple applications. ●FIFO design to ensure quality of rubber compound. ●Customized type with small injection volume for miniature product. ●Easy control and precise injection volume performance. ●Double stations design for productivity increase. ●C-frame design for smooth operation.